Rapid Earth Fault Current Limiter (REFCL) technology is being rolled out across the State as part of the Victorian Governments Powerline Bushfire Safety Program. 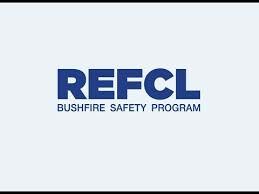 The installation of REFCL reduces arc ignitions on 22kV powerlines, with an aim to reduce bushfires. Live HV has been working with Victorian Utilities, testing infrastructure during the installation phase, to ensure HV assets work in synergy with REFCL technology. HV customers across Victoria are in the process of ensuring their capability to work with REFCL installations and upgrade assets where necessary. Live HV is working with customers during this transition to maintain the integrity of their HV Assets.